Hops are the flowers from the hop plant (Humulus lupulus). An ancient Roman kitchen herb, this plant is a brewer’s best friend. Many people associate hops with beer brewing, but hops are also useful in medicines and herbal remedies. In fact, throughout history, hops have been used to treat a variety of problems from digestion to leprosy. Ancient monks would typically recommend hops to young men to keep them chaste, believing hops reduced libido. Other cultures used hops to treat insomnia and promote relaxation, and the Cherokee tribe used hops to treat rheumatic disorders. As the flowers of the hops plant (also called seed cones) mature, they become papery and develop scales. Under each scale are the lupulin glands that produce lupulin, a powdery pollen. Lupulin is the active ingredient in hops believed to promote relaxation and a sense of well-being. This powder is rich in acids and essential oils, and these give each hops variety its characteristic flavor and aroma [x]. Using hops to promote sleep came about somewhat by accident. Years ago, taskmasters found European hops harvesters were falling asleep on the job. They then assumed that hops had mysterious sedative properties. 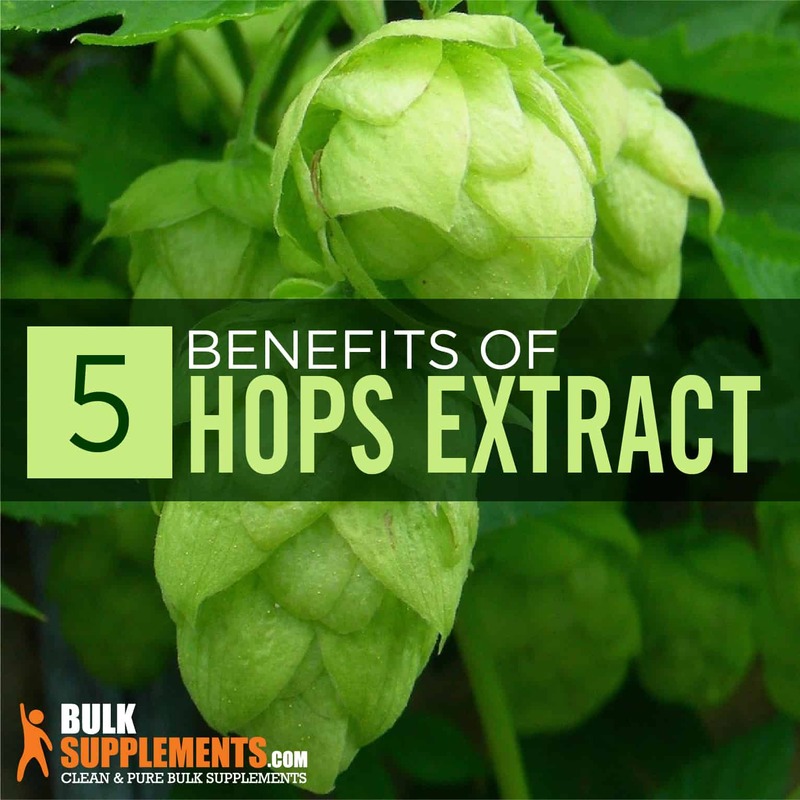 Today, studies show that hops does have sedative properties and could help ease insomnia. Researchers are consequently looking at hops for help with sleep disorders. One recent study examined women who drank non-alcoholic beer, made with hops, at their evening meal. Researchers found that they showed improvement in the quality of sleep (x). Another study confirmed this with a different age group (x). People sometimes combine hops with valerian root or other herbs to promote healthy sleep. Others stuff a pillow with dried hops flowers to help them sleep at night. According to the World Health Organization, stress-related ailments like depression are the leading causes of disability worldwide [x]. Herbal remedies for anxiety and depression are growing in popularity among those eager to avoid side effects associated with traditional drugs. Research suggests that hops can help alleviate depression and anxiety symptoms like insomnia, restlessness, nervousness, and mood issues [x]. Menopause causes various unpleasant symptoms like hot flashes, night sweats, fatigue, and sleep problems. These symptoms are the result a disruption in hormones–specifically, of changing estrogen levels. Hops shares similar characteristics with estrogen — in fact, it contains one of the world’s most effective phytoestrogens. Phytoestrogens–plant-derived compounds–are similar to estrogen found in humans. In a recent Iranian study, researchers selected 120 women between the ages of 40 and 60 in the beginning stages of menopause. The researchers then divided the women into two groups. They gave one group hops to control menopause symptoms, and gave a placebo to the other group. The results? The women who took hops noted a 90 percent reduction in menopausal symptoms, including a reduction in anxiety [x]. Since hops contain anti-inflammatory properties, they could help relieve swelling in joints, particularly swelling associated with osteoarthritis. In particular, one of the bitter components of hops (humulon) appears to help reduce inflammation in people that suffer from fibromyalgia, osteoarthritis and rheumatoid arthritis (x). Because monks were responsible for most beer brewing in the Middle Ages, manuscripts from the era frequently mention hops. It was first used for crafting beer around 800 AD. Before this, brewers used a concoction of flowers and bitter herbs, including marigold, dandelion, burdock, and horehound. Crafted by the British in the 18th century, the India Pale Ale (IPA) is an innovative brew that uses hops in great amounts. In the 18th century, sea voyages were long, temperatures were extreme, and perishables like beer didn’t keep well without refrigeration. But the British soon noticed that hops acted as a preservative and began adding it to their brews. Today, IPA brews are still popular and created using hops of different types. These ales can smell like pine, fruit or citrus depending on the variety of hops used. As long as you adhere to the recommended dosage, hops is safe to take for healthy adults. Hops does not contain gluten and is safe to take by those with gluten allergies. Mild side effects include stomach upset and nausea. Taking hops for an extended time can cause an irregular menstrual cycle, so talk to your doctor before taking it if you have a hormone-sensitive condition. Hops is toxic to dogs and cats. Specifically, it can cause a condition called malignant hyperthermia, a rapid, uncontrolled increase in body temperature. Therefore, keep hops away from your pets. Avoid taking hops if you are pregnant or breastfeeding, unless advised to do so by your physician. Those who suffer from depression or any other mental disorder should avoid taking hops. In addition, if you are about to undergo surgery, stop taking hops extract at least 2 weeks before the operation. 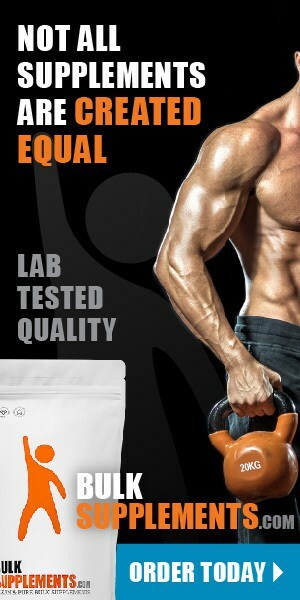 As a dietary supplement, take 520 mg (1/4 tsp) of pure hops extract powder daily, or as directed by a physician. Hops is tops for brewing beer and ales, but it also boasts some seriously impressive health benefits. It could help relieve anxiety, sleep disorders inflammation, and menopause symptoms, proving its more than just beer’s best friend.